232 pages | 47 B/W Illus. 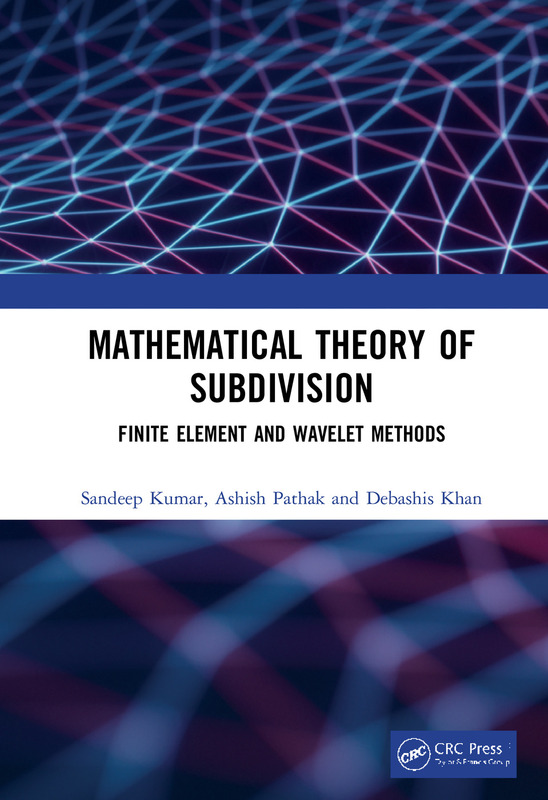 This book provides good coverage of the powerful numerical techniques namely, finite element and wavelets, for the solution of partial differential equation to the scientists and engineers with a modest mathematical background. The objective of the book is to provide the necessary mathematical foundation for the advanced level applications of these numerical techniques. The book begins with the description of the steps involved in finite element and wavelets-Galerkin methods. The knowledge of Hilbert and Sobolev spaces is needed to understand the theory of finite element and wavelet-based methods. Therefore, an overview of essential content such as vector spaces, norm, inner product, linear operators, spectral theory, dual space, and distribution theory, etc. with relevant theorems are presented in a coherent and accessible manner. For the graduate students and researchers with diverse educational background, the authors have focused on the applications of numerical techniques which are developed in the last few decades. This includes the wavelet-Galerkin method, lifting scheme, and error estimation technique, etc. • Computer programs in Mathematica/Matlab are incorporated for easy understanding of wavelets. • Presents a range of workout examples for better comprehension of spaces and operators. • Algorithms are presented to facilitate computer programming. • Contains the error estimation techniques necessary for adaptive finite element method. This book is structured to transform in step by step manner the students without any knowledge of finite element, wavelet and functional analysis to the students of strong theoretical understanding who will be ready to take many challenging research problems in this area. Dr. Sandeep Kumar is serving as Professor in the Department of Mechanical Engineering at Indian Institute of Technology (Banaras Hindu University), Varanasi. He received his Ph.D. degree from Applied Mechanics Department, Indian Institute of Technology Delhi in the year 1999. His field of interests is computational mechanics: wavelets, finite element method, and meshless method, etc. Dr. Ashish Pathak is serving as an Assistant Professor in the Department of Mathematics, Institute of Science (Banaras Hindu University). He received his Ph.D. degree from Department of Mathematics, Banaras Hindu University in the year 2009. His research interests include wavelet analysis, functional analysis, and distribution theory. Dr. Debashis Khan received his Ph.D. degree in Mechanical Engineering from Indian Institute of Technology Kharagpur in the year 2007. Just after completing his Ph. D. he joined as an Assistant Professor in the Department of Mechanical Engineering at Indian Institute of Technology (Banaras Hindu University) Varanasi and presently he is serving as associate professor in the same department. His research interests include solid mechanics, fracture mechanics, continuum mechanics, finite deformation plasticity, finite element method.